Playing on PC with a GTX 970 the game performs beautifully with an average of 85 FPS. Looks amazing and feels very fluid and smooth. The combat is clearly taken from the latest series of Batman games which I think is great. They did a great job crafting their PC title with how streamlined the game feels and the smooth mouse movement. Your character moves about with a style similar to Assassin’s Creed and it seamlessly blends with the Batman styled combat. From a purely mechanical standpoint, it’s a joy to play. The fun begins to fade around the 3-5 hour mark when you realize that while the games touted nemesis is indeed super fun, it’s not enough to keep you interested in the game. The game begins to feel like a hodgepodge of side missions. One gigantic side mission as they all seem to meld after a while. The characters are done well and I found them very engaging when I was watching their dialogue, the problem is that their dialogue isn’t often enough and it feels like the dialogue is pushing me towards more combat versus me progressing towards more dialogue and storyline events. 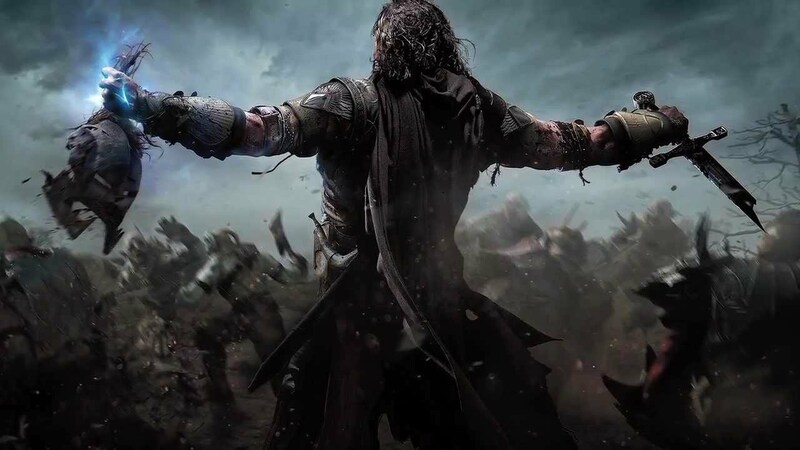 The game attempts to create an open world where you actions are slowly undermining Sauron’s army. Instead it often feels as though I’m a one man army who is attempting to slay every last orc/urk before the army ever gets assembled. The combat is so, so satisfying, but it’s just not enough to keep me going 5 hours in and 8 or 900 orcs later. Nemesis system = fun, combat is addicting, the flow and mechanics are top notch, but it doesn’t feel like there’s anything holding those pieces together. The parts for an amazing game are all there, but they need a more substantial framework to root them in place in order to give the player a sense of meaning and purpose. All in all, it’s still a decent if not fun play. Ff you already own it you’ll probably enjoy it most in doses. If you have a huge hardon for the Batman combo system combat you’re probably safe picking it up. If that’s not your thing you’re better off waiting for a sale. I just caught the top end of your stream, a little over 4 hours and you’re 17% done already. As an uber (yet not quite Stephen Colbert esque) fan of Lord Of The Rings, and a fan of the Arkham games, I’ll still be waiting till this drops to at least $29.99 before I grab it. In a game that has no multiplayer or co-op and can be beaten inside 1 week, $59.99 is too much IMO, unless it has phenomenal replay-ability, which remains to be seen. I played more last night and advanced to around ~50% completion. Very minimal replayability IMO. By the time you’re done with the game you’ll have maxed out your skill trees and there wont be any reason to go back through again. There’s no different build you’ll be achieving, there aren’t multiple story arcs (that I’ve seen thus far), etc. I’m also a bit annoyed with how large some of the fights are as time goes on. I’m talking 30+ guys on the screen in one giant swarm all at once. It’s reducing my fighting skills to basically dodging, double jumping, and feinting in and out. One of the things that Batman did that this game doesn’t do is give you immunity while you’re achieving ground takedowns. This game leaves you vulnerable and thus large scale become even more bothersome than they should be. Quick follow-up to mention that beating the game hasn’t changed my opinions. Nemesis system is great but it rapidly spins out of control once you acquire brand. Possessing warchiefs was necessary to beat the game but branding any more than 5 wasn’t necessary and in no way impacted the gameplay. I was hoping for something much larger and more world impacting than I was delivered. Great combat, cool nemesis system, but not enough to feel as though I got my $$ worth. Per the dev’s it sounds as though they spent too much time/money/dev on the nemesis system to do much else. 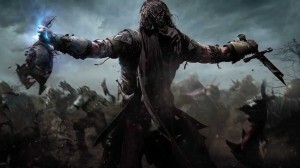 Middle-Earth Shadow of Mordor, funny. I like game openworld.